I worked my way through college at an upper end cabinet shop in the late 80's/early 90's. As a result I wa sscarred from the over use of red oak: every house at the time insisted on putting that stuff in. 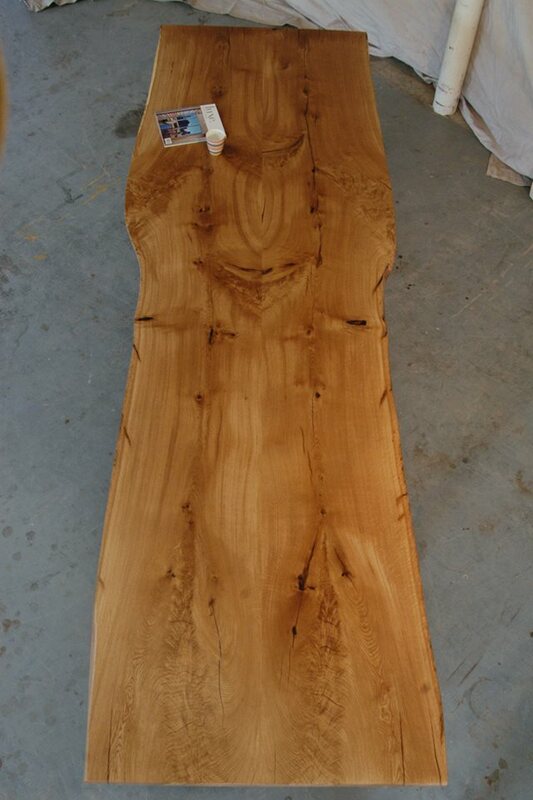 So when one of our suppliers started talking to me about awesome white oak slabs for raw edge dining tables, I had a viceral reaction and started scoffing at him. To his credit he was patient with me probably because he knew I had no idea what I was scoffing at. 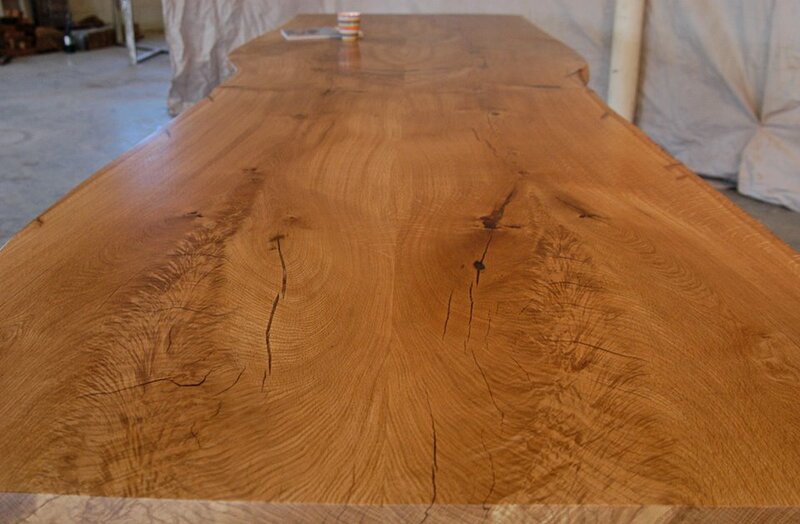 But after that first set of bookmatched white oak slab we got and made into a dining table, I was sold. 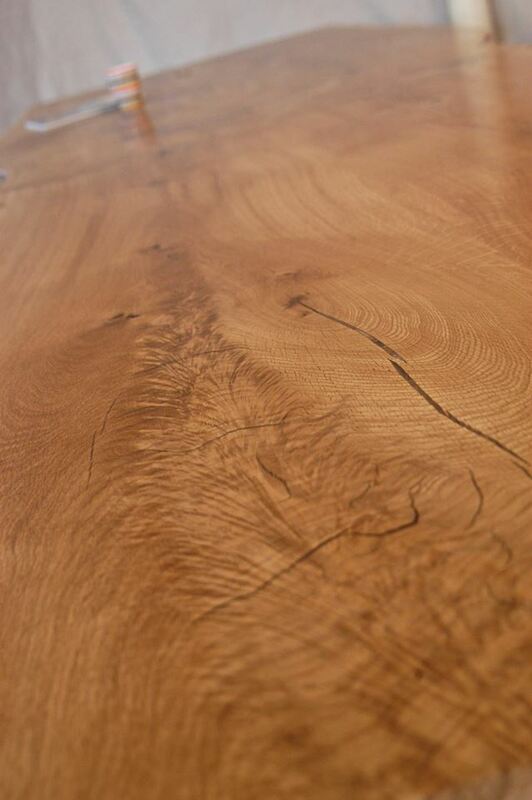 Stunning grain in larger slabs, sands to a mirror finish and stains pretty well. Just for the record, I still won't work with red oak - I mean we have to have some sort of standard.